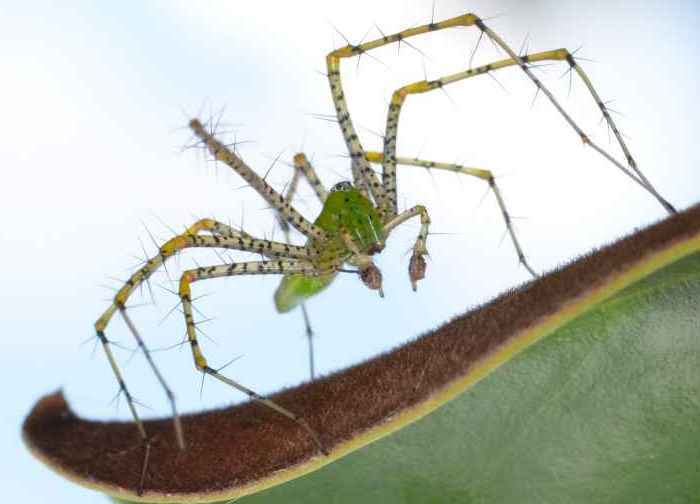 Peucetia viridans (Green Lynx Spider) ♂. Size: approx. 40 mm. Photo: 08/21/11, noon. Lynx spiders are ferocious hunters. 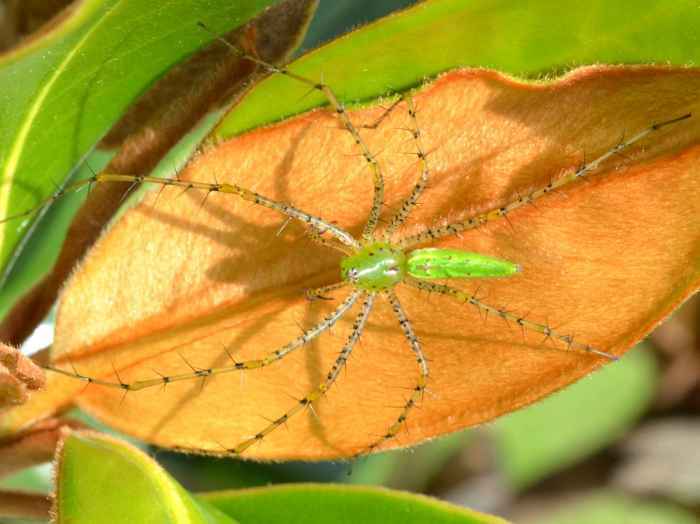 This one is a male of Peucetia viridans. Females can spit venom--in self defense--over a distance of up to 20 cm as described in the second link. The venom is apparently not dangerous to humans but can cause inflammation of the eye. They are common spiders in the Southern US and California.